Unfortunately, fires can and do happen, both in the home and in the garden, too. It’s therefore very wise to ensure that you minimise the chances of fires starting and spreading. 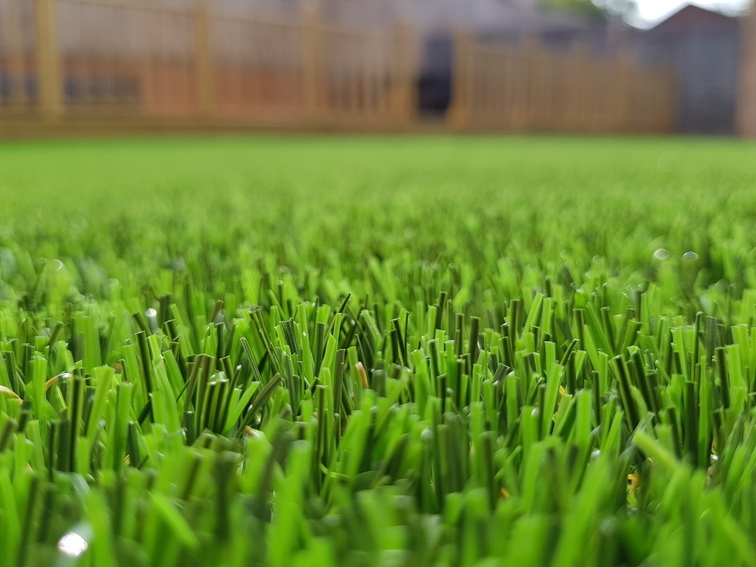 If you are considering installing artificial grass, it’s very important to choose a turf that will not contribute towards fuelling a potential fire. The last thing you want is for a fire to spread through your artificial turf. Rest assured, the vast majority of artificial turf is fire-resistant and is therefore completely safe to have in your garden. We’re often asked by customers a variety of questions relating to artificial grass fire safety, so we put together this article to help clear up some of the most commonly asked questions. If there is anything we’ve missed, let us know by leaving your questions in the comments section at the bottom of this article. How do you know if artificial grass is fireproof? Many artificial grass manufacturers claim that their products are ‘fire-resistant’, but the only way to know for sure is to check for independent testing. When household items are assessed for their reaction to fire, they are subjected to a fire simulation test. The European standard for the fire safety of indoor flooring is UNE EN 13501-1. This standard is specifically for indoor flooring, where the potential for fire is far higher than in an outdoor environment. There are typically two types of test carried out on the flooring. The first test exposes the flooring to a radiant heat source, which is then ignited with a pilot flame. The radiant heat simulates the thermal radiation a floor is subjected to by both flames and hot gases from a fire in an adjacent room. This test is designed to determine the likelihood of the flooring contributing to the spread of a fire. The second test involves blasting the surface and/or edge of the artificial grass with a flame for 30 minutes while observations are made as to how the turf reacts. A1 Non-combustible. No contribution to fire. A2 Non-combustible. No contribution to fire. Bfl Combustible materials – very limited contribution to fire. 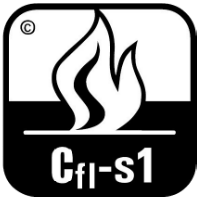 Cfl Combustible materials – limited contribution to fire. Dfl Combustible materials – medium contribution to fire. Efl Combustible materials – high contribution to fire. Ffl Combustible materials – easily flammable. What kind of rating will I need for an outdoor application? For an outdoor application, a class Efl is likely to be sufficient. Some commercial applications, such as at a restaurant, may have to reach a higher classification. 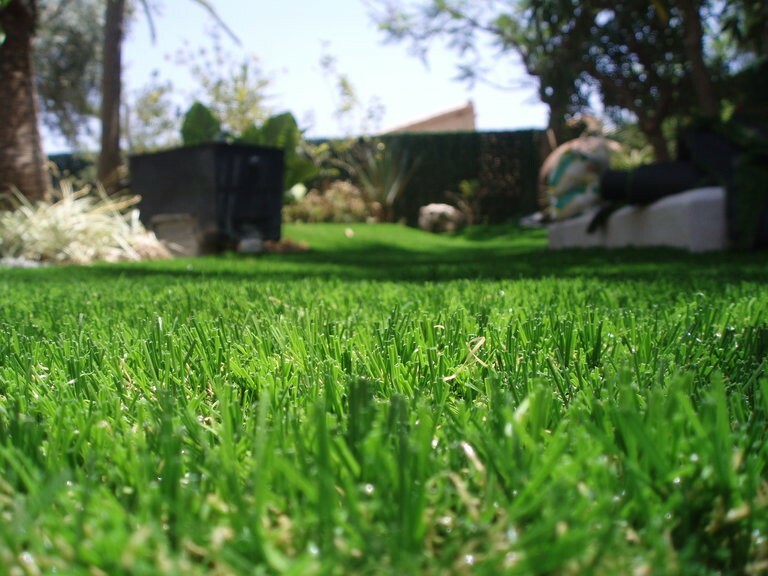 The entire NeoGrass range of artificial grass products meet this standard. What kind of rating will I need for an indoor or rooftop/balcony application? For an indoor area, or rooftop or balcony, we would highly recommending opting for a turf with a Cfl classification. Aberdeen, Arena, Inverness and Tempo all meet this standard. There are two main causes of fire damage to artificial grass: BBQs and cigarettes. A burning coal from a BBQ or a burning ember from a cigarette can damage your artificial turf permanently. It can, however, be repaired relatively easily, by cutting out the affected area and replacing it with a new piece of artificial grass that can be secured using Aquabond adhesive and joining tape. But prevention is far better than cure. For many, it goes without saying that a garden should have a BBQ and just because you have an artificial lawn certainly doesn’t mean you can’t have one in your garden. But you do need to be cautious. BBQs should be kept as far away from your artificial turf as possible, and ideally positioned on a hardstanding. We recommend situating a BBQ at least two metres from your grass. 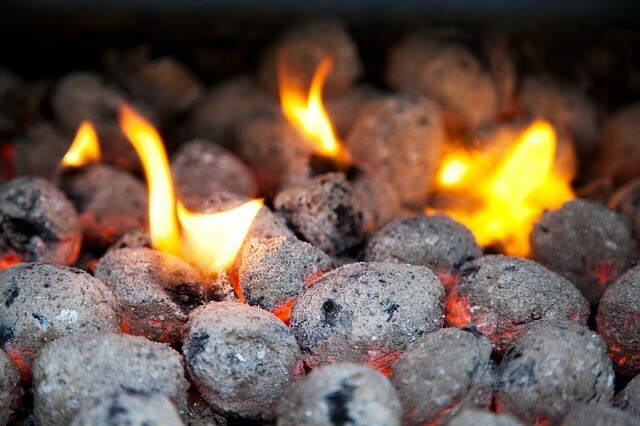 It’s very easy to drop a burning coal and keeping your BBQ as far away as possible from your lawn will remove the chances of it being dropped on your fake turf. You’ll also want to try to choose a location that is sheltered from the wind as you don’t want a large gust blowing hot ashes over your lawn, either. When it comes to cigarettes, we highly recommend that you do not smoke whilst standing on or within two metres of your artificial lawn. Always safely extinguish your cigarette in an ashtray. It’s very important to ensure that the cigarette is properly extinguished, as again, a gust of wind could blow a partially burning cigarette onto your lawn. When choosing your artificial turf, make sure you choose one that has been independently tested for fire safety. That way, should the worst happen, you’ll know that a fire will not spread through your artificial lawn. Many manufacturers claim that their products are ‘fire-resistant’, but the only way to know for sure is to ask them for fire-rating certificates. For many public and commercial applications, including indoor events and exhibitions, this is often a necessity anyway. A Cfl rating is as high a rating as you’ll get for a synthetic turf and for indoor areas and balconies, we highly recommended choosing a turf with this rating. Our Aberdeen, Arena, Inverness and Tempo artificial grasses are all classed as Cfl. However, for most outdoor applications, unless otherwise specified, an Efl rating will be more than sufficient. Our Delta, Libra and Tauro grasses meet this classification. If you have any questions regarding artificial grass fire safety you can either contact us or leave your questions in the comments section below and we’ll help resolve any queries you may have. *Disclaimer: The information given in this article is for guidance only. While we endeavour to make sure all information is up to date and accurate, regulations change and advice can be misinterpreted. You should take professional advice before acting on any part of it.